Test Your Foodie Knowledge With This Quiz! » Test Your Foodie Knowledge With This Quiz! 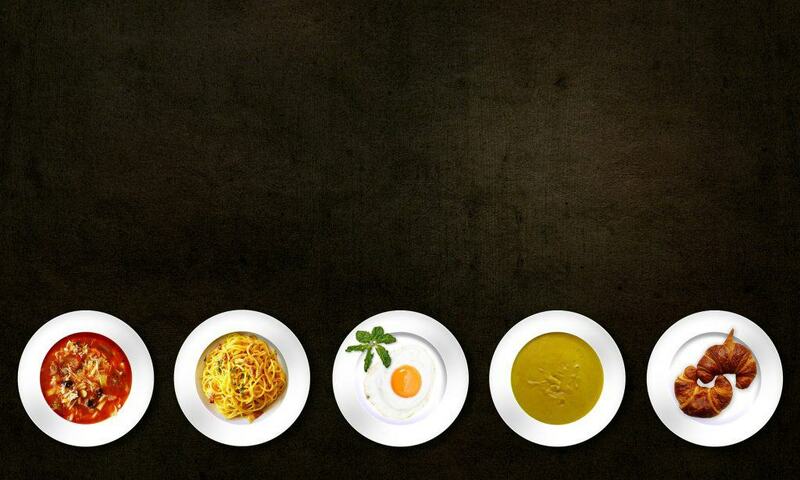 Interested in seeing how you might do in a quiz designed to test your “foodie” knowledge? You may already have a lot of cooking skills and knowledge. You may be very confident in your kitchen and prepared to hold your own. Or, you may still be learning what you want to know about cooking, food and how to execute in the kitchen. Either way, this quiz is for you! Test yourself and see how good you really are, or take it to learn something new. Click the Start Quiz button below to take the quiz. There’s 25 questions and if you get stuck scroll down to the bottom of the post for some hints. After you’ve finished the quiz you can opt to get your score to see how well you did! Julia Child was living in France when she started writing her first cookbook. For more information on her biography, see this site. Blanching is an interesting “start-stop” cooking technique, great for preserving nutrients in your food, for more information, see here. It’s always a good idea to make sure you can recognize herbs and spices on sight, whether while shopping or cooking! It will even help you to create recipes of your own that may be new and original. Here’s a good picture summary of a bunch of herbs and spices. If you want to know where to start in sauces, it’s always good to see what French cuisine has to say about the subject. The French start with five “mother” sauces. To learn how to make each of the five is to learn in turn how to make almost every other classic sauce since each “mother” sauce is the basis for just about everything that follows. The United States Department of Agriculture has done a lot of food safety testing. The results of all of it are found in these food safety charts that detail, among other things, what safe internal temperatures are for different types of food. Well worth knowing where to find this information! Sometimes you just forget how many ounces (U.S.) are in a cup or what even is an ounce in the United States versus the United Kingdom, for instance. This site will help you keep these measures and conversions straight. The science behind our ability to taste is still evolving and has a lot of unknowns, but nonetheless is still fascinating. What we already know about how we taste and which of our senses are involved is really interesting stuff! Just like with herbs and spices, it’s a good idea to make sure you know how to recognize legumes, nuts and seeds. These pictures summarize each of several popular seeds, nuts and legumes, so you can make sure you’re up to speed! You might just find that perfect ingredient for you to substitute for your next recipe! The food “danger zone” is always good to keep in mind, because we all forget! The danger zone is the temperature range that allows dangerous bacteria to grow on your food. So, make sure you understand that zone in food preparation and storage. Use the refrigerator, the oven and even the garbage can as needed to make sure you don’t serve dangerous food. Food science and chemistry may not be your favorite subject, but there’s some things you should know in order to be a good cook. Exploring a little science can only help you understand how some of your recipes might work better, or even help you create new recipes. This site describes some of the basics of food science very clearly. It’s interesting to see which food ingredients are the most expensive. Some of them you would never guess are really expensive, but others you would. You might forget this one if it’s been awhile since you’ve even had to think about it. Check here for some basic facts, including different temperatures for different altitudes. Convection cooking is good to know about, how it works, why and when you should use it and what even some small convection ovens are capable of with one of our convection countertop reviews. Sous-vide cooking can open up a whole new culinary work to your existing recipes, techniques and cooking experience. It’s a fascinating technique well worth at least understanding, a good summary article can be found here. Limoncello is a nice drink to have on hand and even know how to make from scratch. It’s also nice to know where it came from, how to make it in detail and even how and when to serve it. This post on our site explains all, enjoy! You may have already understood the basics of which materials in your cookware reacts to your food and which don’t, but forgotten. Or, you may not have considered how different materials might affect how your food cooks and even tastes. This is a great summary of reactive and non-reactive cookware for you to keep handy. Another measurement guide, how many tablespoons in a cup? The science of taste is complicated. A good place to start is with the basics, this guide will help. Food safety in your kitchen is good to take seriously, that’s why we have had these questions in this Foodie Quiz. Here’s a guide for safe thawing your frozen food. These cooking techniques are similar, but different and it’s good to know when to use each one and why. This article will show you how to use each. Would you like to have a refresher on butter, the varieties, the when and how to use them and why? This article briefly summarizes each of them. Cheese comes in so many varieties and styles that it’s almost impossible to keep them all in mind. That even applies to just one variety, blue cheese. To see a comprehensive description of several of these blue cheeses, along with pictures, take a look here. Now that you’ve reviewed the five basic “mother” sauces of French cuisine (see 4 above), it’s time to review the five basic French cooking techniques here. There are a lot of cooking myths that are just not true. Check out some of these myths here and here to see what is and what is not on the list! To complete the references to French cuisine (above in 4 and 23), here is a comprehensive summary of classic French desserts. Chances are you haven’t made your way through this list before, so it might be worth checking out.